Cannabis stocks have become the new cryptocurrencies – highly volatile price action and frothy investor speculation, even though there is significant long-term potential in both sectors. The possibility of a partnership between Aurora Cannabis and Coca-Cola could signal even stronger growth ahead. But could such growth be dampened by the Feds turning away Canadian investors at the border? One stock in particular has seen its price action fly high as a kite, followed by a sobering crash back to reality. Tilray is a big name in global cannabis distribution, research, and cultivation. The company’s stock has been on a wild ride over the past few weeks. The pot stock had advanced as much as 1600% from the IPO price of $17 to around $300 in under two months. It’s total market capitalization exceeded that of Macy’s Inc., a company that is over 100 years old and is one of America’s largest retailers. But in the past two days, the share price has crashed over 60% back to $120. We would argue that Tilray, and its investors, were getting too high. Not Elon Musk. Is this kind of rally sustainable? Much of the rally had to do with the low number of shares available to the investing public, as well as it being the first U.S.-based cannabis stock IPO (initial public offering). The low float made it very difficult/expensive to short shares of Tilray and the share price continued to rocket higher. But remember, it pays to be a contrarian. If you decided to buy on the breakout towards $300, your trade is now up in smoke. By the time these things become a big deal, it’s far too late to jump on the bandwagon. That goes for any asset class and we want to be selling when others are greedy and exuberant, not buying. Just look at this recent chart of Tilray’s price-to-sales ratio compared to that of its competitors. The P/S ratio of Tilray is over 3x higher than its competitors, with the company generating less than $10 million in revenue in the latest quarter. This indicates a speculative bubble. People are piling into the trade in hopes of continued upside, but we know how this ends. On Wednesday, Tilray almost doubled in price, shooting up 92% at its session high. It later gave up almost all of those gains. This kind of action is typical of small-cap stocks with thin liquidity. While Tilray is no small cap stock, their public float is much lower than typical as roughly 80% of shares are owned by Privateer Holdings. Those shares alone were worth over $15 billion on Wednesday, netting considerable gains for Peter Thiel, who is also a cryptocurrency bull. Aurora Cannabis (NASDAQOTH:ACBFF) is in serious talks with Coca-Cola to develop cannabis-infused beverages, according to a report by BNN Bloomberg TV. Could a deal with Coke and Aurora be even bigger news than Constellation Brands‘ (NYSE:STZ) partnership with Canopy Growth (NYSE:CGC)? 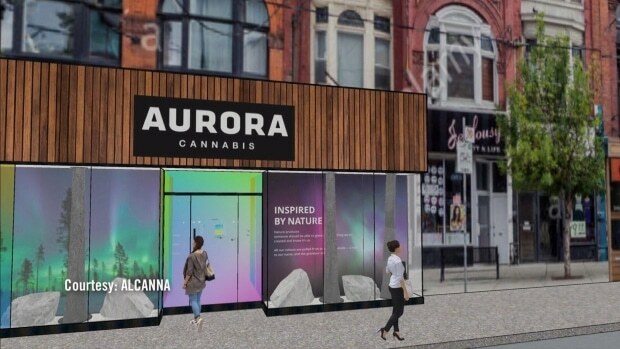 Aurora is Canada’s third-largest cannabis company, with a market cap of 8.7 billion Canadian dollars. In less than a month, Canada will become the first G7 economy to fully legalize cannabis in all forms on the national level. So, while excessive exuberance in stocks like Tilray should be approached with caution in the near-term, Canadian cannabis stocks, in general, look like a great long-term bet. In some way, Coke is returning to their roots. Coca-Cola was named back in 1885 for its two “medicinal” ingredients: extract of coca leaves and kola nuts. Just how much cocaine was originally in the formulation is hard to determine, but the drink undeniably contained some cocaine in its early days. Cannabis stocks have been great for investors and for Canadian entrepreneurs taking advantage of the massive growth in this sector. If you’re a Canadian investor seeking to enter the US, however, be wary. Cannabis is still considered a Schedule I drug in America, putting it in the same classification as heroin and other opioids. The federal government does not recognize marijuana as having any medicinal properties. It seems likely that Canadians who use pot would be turned away at the border because of this. But what about those who invest in cannabis stocks? It seems the federal government is treating Canadians who hold stakes in cannabis companies as if they were crossing the border with a trunk full of hashish. Sam Znaimer is a Vancouver, Canada-based venture capitalist who has been investing in everything from tech to telecommunications for more than 30 years. Recently, he put more than $100,000 into legal American cannabis companies. In May, when he attempted to drive across the border, he was flagged for a secondary inspection and questioned for four hours. In conclusion, we believe investors should be cautious with Tilray until their valuation falls back in line with competitors. Aurora is a cannabis stock worth tracking, as they have underperformed their peers and any signed agreement with Coca Cola will likely send the share price much higher. But Canadian investors need to be mindful of US regulations when entering the country. And all investors of cannabis stocks with U.S. operations should remain cautious until the Federal government removes the ridiculous Schedule 1 classification. President Trump has been open-minded on the legalization of cannabis and has been publicly expressing his dismay with his anti-pot Attorney General Jeff Sessions. If Sessions gets the boot and the Federal government passes ‘hands off’ legislations that commits to allowing the states to dictate marijuana policy, the entire sector could surge higher once again. I think this is the inevitable course of action, although it is difficult to predict the timing. Either way, we believe the future is bright for the cannabis sector. At Gold Stock Bull, we aim to identify emerging trends ahead of the rest of the market. We started covering Bitcoin at $100 and started adding cannabis stocks to our portfolio for subscribers back in June of 2017. We are sitting on massive gains in both sectors and remain bullish on their long-term trajectory. To get our investment research and top picks in these sectors, you can subscribe by clicking here.